Fill the shelves, foster a love of reading. There is no better way to encourage classroom reading than to give your students books. 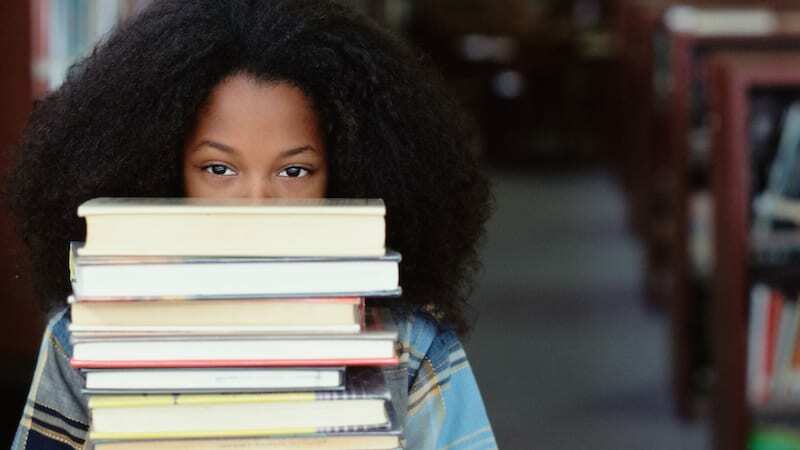 We found free books for low-income schools, literacy grants, free ebook databases, and we even offer some of our favorite ideas for finding books on the cheap. We hope this helps you fill the shelves of your classroom library and foster a love of reading in your students. 1. Visit the marketplace at First Book. If at least 70 percent of the students in your class come from low-income families, check out First Book for your classroom library needs. First Book offers a marketplace where teachers can find new books at 50 to 90 percent off retail prices. Additionally First Book has a National Book Bank offering free books. The only catch is that you pay the shipping of $0.35 to $0.50 per book. First Book has a huge selection with Spanish language titles, music and arts books, global stories, STEM books as well as ordinary fiction and nonfiction. 2. Check out Kids Need to Read. Kids Need to Read is another program that provides free books and literary resources to schools and libraries. To be eligible for the program your school must serve at least 50% of children living at or below the national poverty line. There is no guarantee of acceptance. However, unlike some programs that only target early readers, Kids Need to Read serves middle readers and young adults as well. 3. Tap into the Reading Resource Project. The Literacy Empowerment Foundation sponsors the Reading Resource Project, an ongoing program that distributes softcover books to support literacy programs. Reading levels are available for pre-K through second grade. The Reading Resource Project offers book sets in Spanish as well as English in various subjects. Recipients are required to pay shipping and handling of $.78 per book. Team up with other grade level teachers and split the 100-book box among several classrooms! 4. See what the The Library of Congress has to offer. For teachers in the DC-area or those already planning a trip to our nation’s capital, don’t miss The Library of Congress surplus books program to stock your classroom library. While the selection of early-level books is limited, the supply is constantly changing. The surplus books can only be received in person. However, you can send an authorized representative for your organization. If you have friends or another teacher planning a trip to the DC area, you could ask them to pick out some books for your classroom. 5. Apply for book grants. There are also a number of grant opportunities available that provide funding for the purchase of Children’s books. Some of these include the National Home Library Foundation, Snapdragon Book Foundation, Build-A-Bear Workshop Bear Hugs Foundation, The Laura Bush Foundation for America’s Libraries and the Dollar General Literacy Foundation. Work together with other teachers at your school to write a killer grant and let your classroom libraries reap the benefits. 6. Check out the bargain section. Amazon has a large selection of children’s bargain books. You’ll often find titles as low as $1. The selection frequently changes so check back often. Amazon also has a Wish List feature. 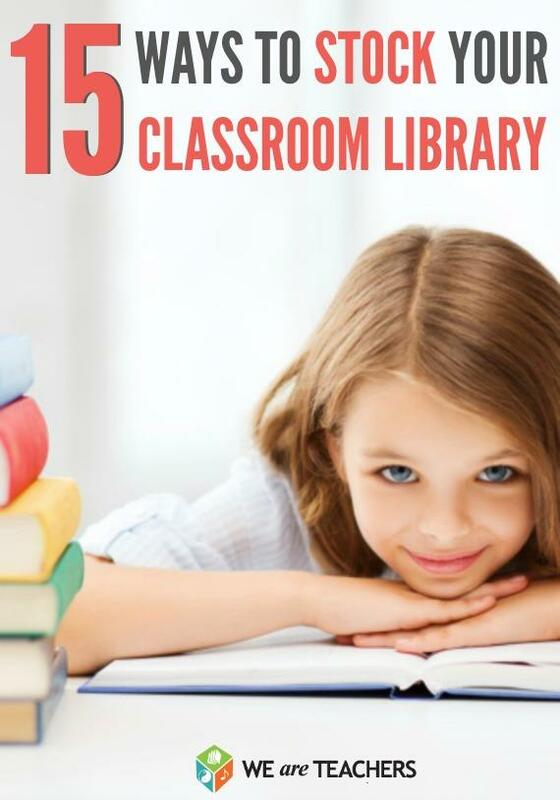 You can create a list of books you would love to receive for the classroom and share with parents or simply add a link to your email signature. Ask and (maybe) you shall receive! You can also explore other bargain booksellers like: Book Outlet, Thrift Books, Better World Books and Books A Million. 7. Keep your eye out for special events. Periodically Scholastic Book Fairs hosts warehouse sales. This is a great way to purchase books and activity sets for your classroom library at up to 80 percent off the published price. Most books are at least 50% off and there are hundreds of items priced at $2 or less. Some locations even offer a Build-A-Box option! Grab a box, pack it with books from a selected collection of clearance items and pay only $24.95. To find a warehouse sale in your state, just enter your zip code. Also, once you find your local event be sure you register online to receive a special coupon for $10 off a $50 purchase or $25 off a $100 purchase. 8. Definitely join a reading club. The Scholastic Reading Program is a fabulous source for acquiring books for your classroom. When parents purchase books through your classroom catalogue you earn bonus points to spend on books for your class library. The more parents order, the more free books you receive. There are options for all parent budgets. The catalogue even features a $1 book each month. We also found this blog post that has some fabulous ideas for boosting parent purchases! You can also shop the online Scholastic Teacher Store. They have deals specifically for educators with hundreds of titles as low as $1. Occasionally they offer free shipping days to make it even more affordable. 9. Visit your local library sale. Public libraries receive book donations on a regular basis. Most of these titles do not actually land on library shelves but instead are saved for book sales. The majority of these sales are sponsored by Friends of the Library volunteer groups. You will typically find books priced from $0.25 to $1 in a wide range of subjects and genres. These sales are a win/win since your money goes back to supporting public library programs. Call your local library to find out when they will hold their next sale. You can also check Book Sale Finder to find sales in your state. People often sell outgrown children’s books at garage sales. The prices vary but usually you can negotiate and purchase them very inexpensively. Your best bet is to search for neighborhood-wide garage sales so you can visit a large number in the same area. Grab some teacher friends and make a fun morning out of it! Goodwill and children’s consignment stores are fabulous resources for inexpensive books. It can sometimes be a scavenger hunt but you should be able to find some fun titles to add to your classroom library. You can also shop annual consignment sales as well. These typically have lower prices that stores. Find a consignment sale happening near you. 12. Be on the lookout for book drives. Half-Price books conducts a book drive every winter and distributes these books to nonprofit organizations, schools and hospitals during the month of April. Bookmark the Half-Pint Library page and check back every year to find a giveaway event in your area. The request forms typically become available in March with giveaway events occurring in April. Half Price Books also offers a 10% off educator discount to help you save on books throughout the year. 13. Ask for parent donations. If parents know that donating books to the classroom is an option, they may choose you over donating to a resale shop. Put a sticker inside donated books. Kids will love when their donated book is being enjoyed by their friends. 14. Team up with another class. Find a teacher in an older grade. Ask if she would be willing to have her class do a book drive for yours. Students can bring in a book or two that they enjoyed in the previous grade. Then have a buddy day where her students can read the donated books to your class. Reciprocate with a book drive for another teacher in a younger grade. If you have tablets in your classroom, a digital classroom library can be a great resource for students as well. There are a number of sites that are exceptionally helpful for finding free ebooks. The most comprehensive is the Digital Book Index. This is a catalogue of all the major eBook sites, university collections and other smaller publishers. Also be sure to check the International Children’s Digital Library. This is the world’s largest digital collection of children’s books. They have thousands of books in a variety of languages. The Library of Congress has a selection of free books that have been digitized. These include many illustrated children’s classics. Project Gutenberg is a collection of free electronic books. The site boasts more than 40,000 free titles. The site features all types of ebooks but there are titles for children. If you would rather have the free books for your classroom library come to you instead of hunting for them, check out BookBub. This is a free daily email that notifies you about limited-time, free and discounted bestselling e-book titles in genres you choose. If you are looking for more ways to encourage readers, don’t miss our post with free Get Caught Reading posters and several different free printable bookmark sets. Students can have fun making their own books with the free Bookabi App and be sure to take advantage of the free Storyline Online program. Let’s get kids excited about reading! Join our Facebook group WeAreTeachers Chat and be part of conversations all about the into the challenges and joys of the teaching life. Shellie Deringer loves saving money and is always on the hunt for a great deal or DIY hack. She shares her favorite frugal living ideas, inspiration and deals at SimplyShellie.com. Should Teachers Accept Facebook Friend Requests from Parents?